2 cottages right next to the shore of Lough Erne, perfect for sleeping up to 8 guests. 8 beautifully restored Courtyard Cottages sleeping between 2 and 8 guests. Situated on the northern tip of Upper Lough Erne, Belle Isle is a 470-acre estate spread over eight picturesque islands. At the heart of the estate, the 17th century castle welcomes groups of up to 27 guests looking for a luxury getaway. In additional to the main castle, Belle Isle Estate offers a number of self-catered cottages and apartments, ideal for families. Guests may enjoy the bounty of County Fermanagh in a variety of ways. A kitchen and barbecue facilities allow them to prepare their own meals with fresh ingredients from nearby markets, eggs from the castle's hens, and perhaps fish they caught in Lough Erne. A private chef, who is versatile in international and traditional Irish cuisine, can prepare a single dinner or a full week’s worth of meals. Guests may also take classes at the Belle Isle School of Cookery, each of which culminates in a sit-down meal. 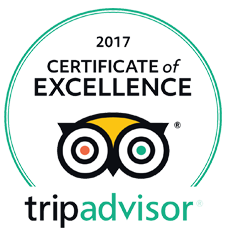 Belle Isle Estate is delighted to be a winner of two highly rated awards from TripAdvisor; 'Certificate of Excellence 2014' and 'Certificate of Excellence 2015'. "Belle Isle has been inhabited since the 12th century, on the shore of upper Lough Erne. When I drive up to the main castle, it feels like I am coming home for some reason; it must be the accents and the warm welcome! The castle will sleep up to 27; there are cottages and courtyard apartments on the estate aswell. Learn new skills in the Cookery School or take a cruise around Lough Erne on 'Trasna'; the boat trip is very relaxing." Exposed oak beams and 4-poster beds; walls decorated with regal patterned wallpaper or painted in vintage burgundy, terracotta or vibrant yellow; en-suite bathrooms deserving of nobility. After your guests get comfortable in their own stunning rooms, they will inevitably desire a tour of everyone else's. Having your own space on holiday allows you to do what you want without worry. Each cottage has its own grassy outside area with BBQ available and a picnic table. Indoors you will find modern amenities and plenty of space to relax in. Set by the water's edge on a private island, the cottages offer a retreat for those in need of a well-earned spot of peace and quiet. Allow nature to envelop you with the ambient sounds of passing wildlife, then dip your toes in the gently lapping lough on your doorstep. Belle Isle is full of outdoor spaces to explore, whether it be walks through the fragrant forests or beautiful gardens. Visit the estate's friendly donkeys and chickens to get up close to nature; children and pets will have lots of choice to occupy themselves. 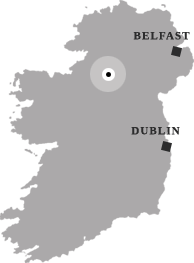 Travel a little bit further to explore Enniskillen and find ample opportunities to dine and drink. This handsome stone building, with an iconic bell and clock tower, was built in 1856 to shelter the castle's coaches and horses. It now contains two spacious cottages, each sheltering up to four guests, with views over the courtyard. Beautiful period details shine in these luxurious cottages; an exposed brick wall surrounds a crackling wood-burning stove in the spacious, open plan living/dining room; a well-equipped kitchen allows you to prepare meals at a pace and a time to suit your particular holiday needs. "We stayed here for two nights in October. Friendly staff made us feel very welcome, while well appointed and clean accommodation made the rest of our stay just what we needed... relaxing and stress free. The Belle Isle Estate is stunning and the countryside around it is equally spectacular. We took our bicycles with us and enjoyed a day cycling and exploring. Enniskillen is only a short taxi ride away if you want a night out, but if you prefer a quiet night in then the self-catering facilities and log burning stove are all you will ever need... I must confess we did both!"